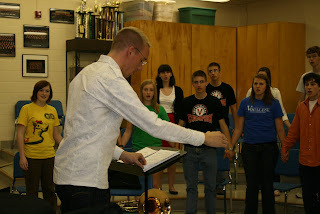 Matt Oltman was in Des Moines last week (did you know that that's where he comes from?) 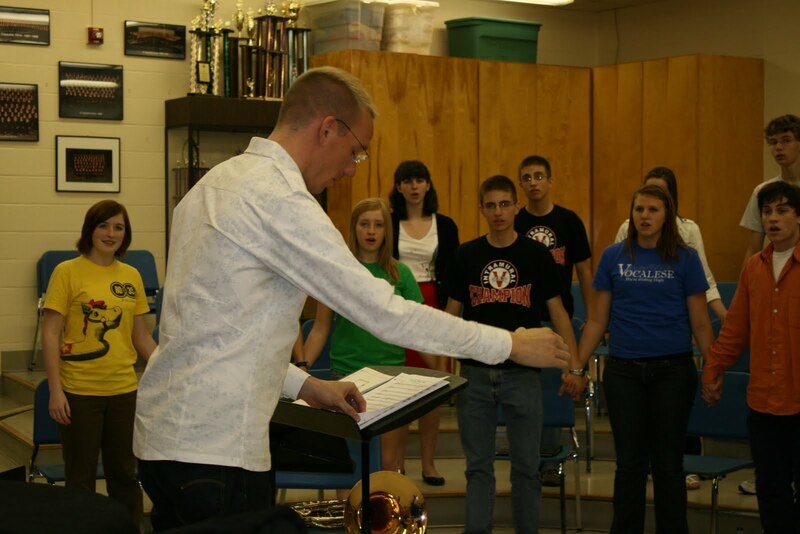 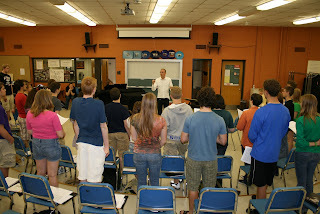 On Friday he worked with Valley High School in preparation for a combined concert with the Des Moines Vocal Arts Ensemble on Sunday. 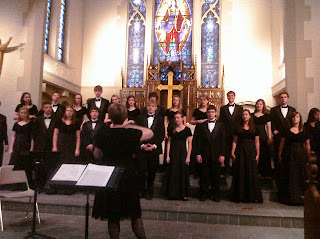 The two choirs sang sets of music on their own as well as a combined "Chanticleer" set which included Gabrieli's "Deus Meus", Jennings' "Calling My Children Home" and "Keep Your Hand on the Plow", and, of course, Biebl's "Ave Maria". Valley High School Singers under the direction of Linda Vanderpool.